Become a member so you can receive daily notification for update and news. The Integrated Database of Bulgarian Doctoral Candidates and Academic Newsgroup is a project jointly launched by the Association of Doctoral Candidates in Bulgaria, the Centre for Advanced Study Sofia and the Centre for teaching doctoral students at the Bulgarian Academy of Science. 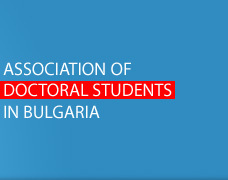 The organizations initiating the project intend to develop an integrated database of the doctoral students and a virtual forum; to provide the young scholars with virtual access to specialized information, to create a newsgroup and flexible mailing lists for Bulgarian PhD students both in Bulgaria and abroad. The Centre for Advanced Study Sofia (CAS - www.cas.bg) is an independent non-profit institution set up for the promotion of advanced scholarship and academic cooperation. It provides financial and institutional support for post-doctoral research and for research programmes in the Humanities and the Social Sciences. The Association of Doctoral Candidates in Bulgaria (ADCB), was established on 1 November 2002. It is a voluntary, politically uninvolved, academic NGO working in interest of the public. The basic goals of ADSB are to safeguard and protect the economic, social and professional interests of its members; to foster solidarity and cooperation among members of the Association; to provide access to and exchange of information on research activities among members; to foster establishing and keeping contacts with similar scientific organizations in Bulgaria and abroad (Legal Statute). 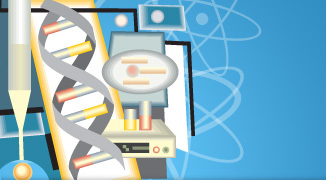 The Training & Development Center at the Bulgarian Academy of Sciences (http://edu.bas.bg) was established in January 1997 as a specialized unit to organize and supervise the educational and scientific training of PhD students at the institutes of the Academy. For the first two years of its implementation the project was financed by the Open Society Institute, Bulgaria and the Bulgarian Ministry of Education and Science.